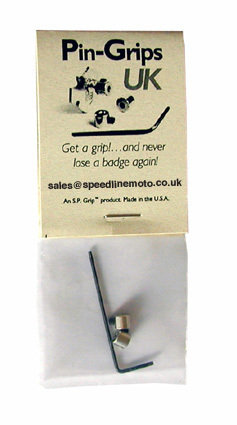 This excellent chrome plated brass badge saver is a clasp that locks to the back of your pin badge with a grub screw. Each packet contains 2 Pin Grips and one Allen key. Postage included for all destinations in Europe except Italy.